German rabbi; born at Stadthagen, Schaumburg-Lippe, March 24, 1843. Having received his degree of Ph.D. from the University of Berlin in 1870, he became in the same year rabbi of Dessau, Anhalt. 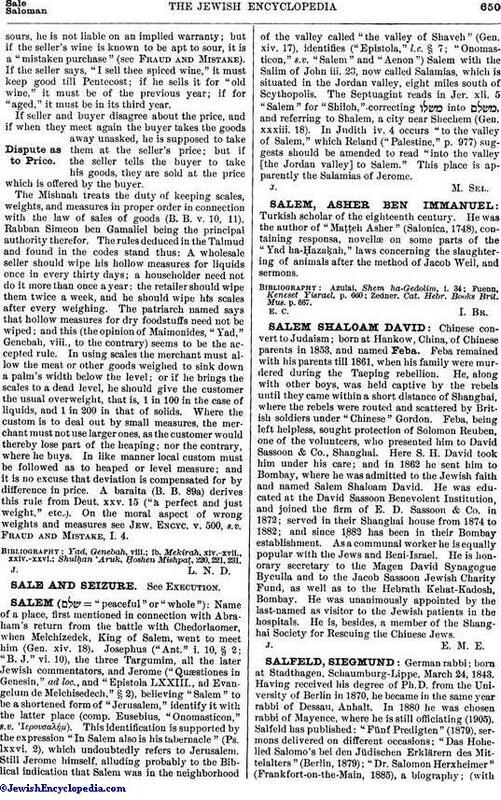 In 1880 he was chosen rabbi of Mayence, where he is still officiating (1905). Salfeld has published: "Fünf Predigten" (1879), sermons delivered on different occasions; "Das Hohelied Salomo's bei den Jüdischen Erklärern des Mittelalters" (Berlin, 1879); "Dr. Salomon Herxheimer" (Frankfort-on-the-Main, 1885), a biography; (withM. Stern) "Nürnberg im Mittelalter" (Kiel, 1894-1896); "Der Alte Israelitische Friedhof in Mainz" (Berlin, 1898); Das Martyrologium des Nürnberger Memorbuches" (ib. 1898), a work edited for the Gesellschaft für die Geschichte der Juden in Deutschland; "Bilder aus der Vergangenheit der Jüdischen Gemeinde Mainz" (Mayence, 1903). 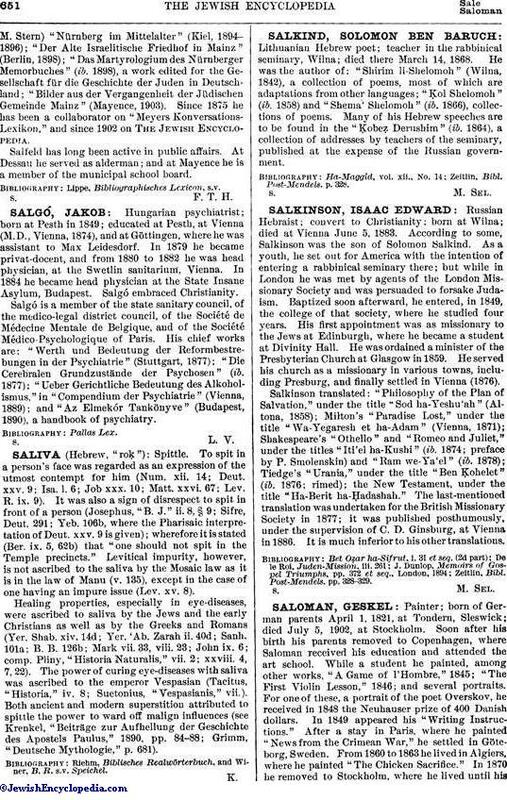 Since 1875 he has been a collaborator on "Meyers Konversations-Lexikon," and since 1902 on The Jewish Encyclopedia. Salfeld has long been active in public affairs. At Dessau he served as alderman; and at Mayence he is a member of the municipal school board.